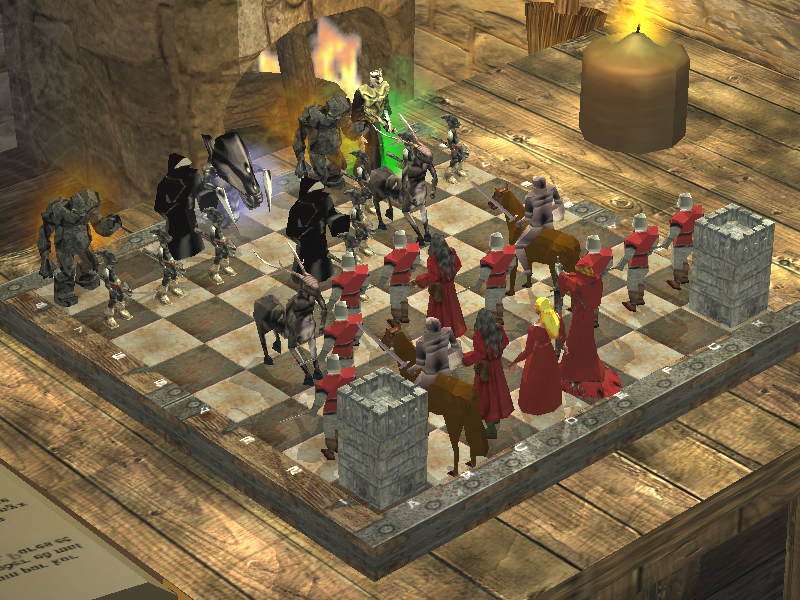 Play a game of chess against various chess engines or another local or online player. The realistic 3D view can be freely rotated & zoomed and there are many different sets of boards, chess pieces and scenes chooseable. 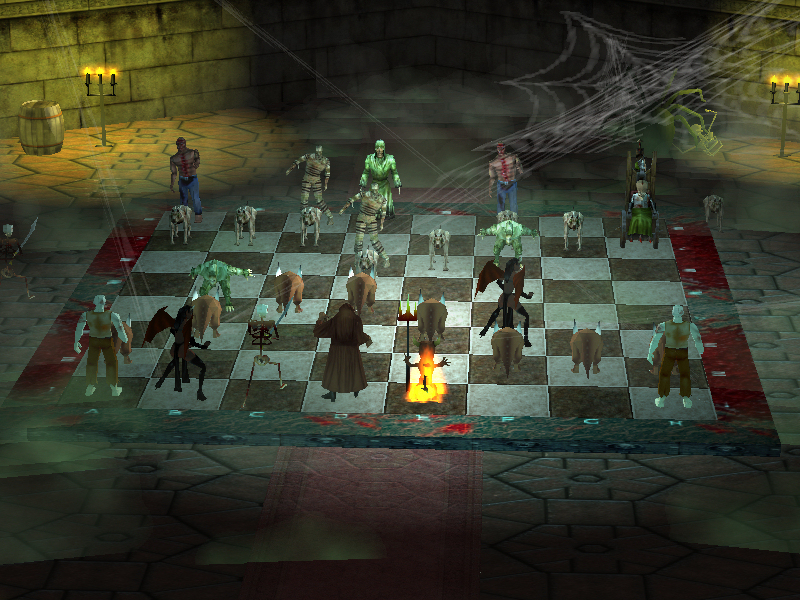 Some sets of pieces are animated and displayed in a suitable environment such as dungeon, medieval and graveyard. You can watch the figures walking and fighting at every move or you can even throw the figures down the board if you get angry about losing a game due to the build in physics engine. 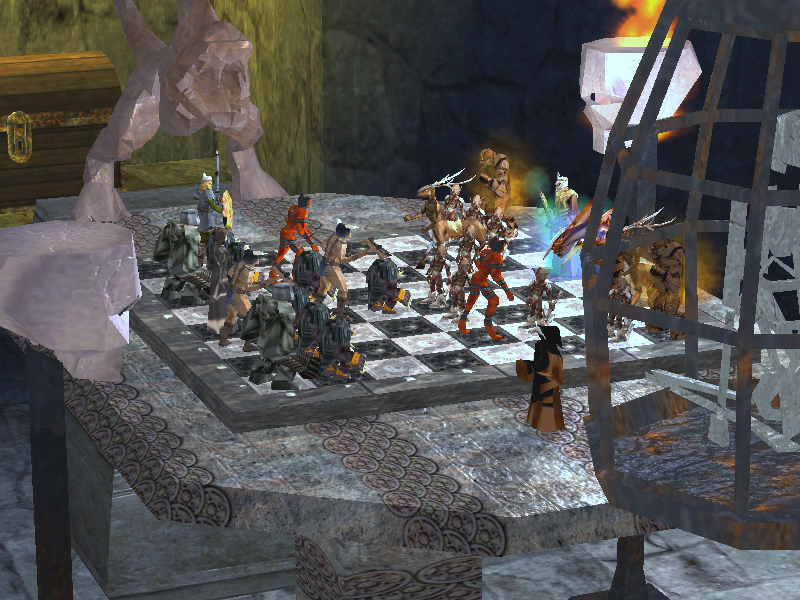 Also included are hundreds of famous games you can analyze and continue to play at any point also other chess games in PGN format can be imported. 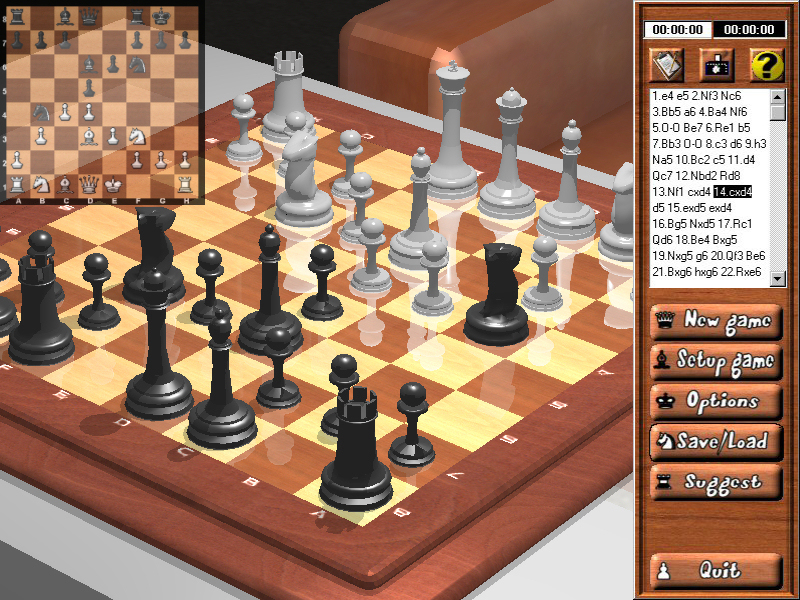 A selection of free but strong chess engines provides you a challenging and varied game experience during playing against the computer. 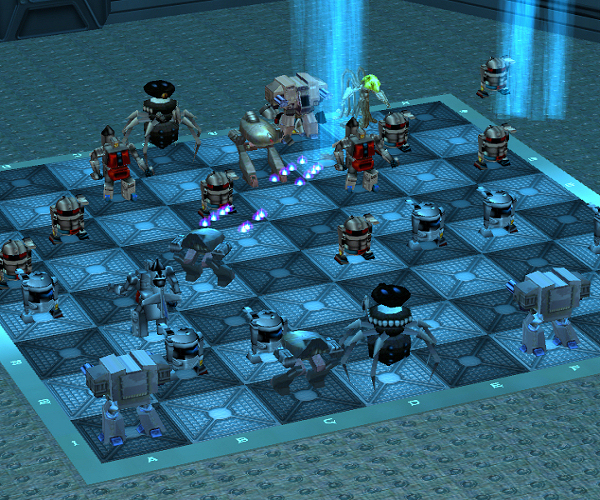 Additional free or commercial chess engines using the UCI protocol may be easily installed as well. Two player network playing over LAN or Internet is also supported.